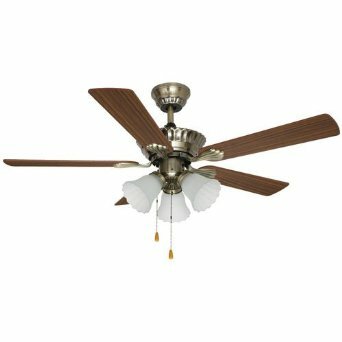 Aloha Breeze ceiling fans have been sold at WalMart in recent years. They are very inexpensive and are largely plastic in construction. They do not move significant amounts of air. 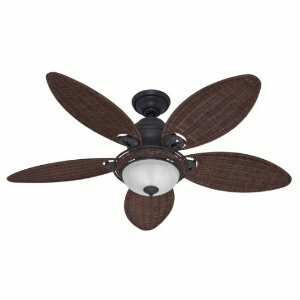 If you have an Aloha Breeze fan it is typically not worth repairing, however if you wish to it would be best to contact the customer service number included in the paperwork with your fan. Capacitors and pullchains (see appropriate sections) can be replaced, however the cost of replacement parts likely exceeds the value of the fan. 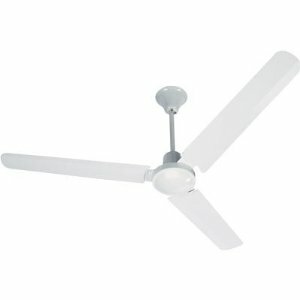 Aloha Breeze ceiling fans are made by Litex, which otherwise manufactures quality lower-end fans. This Aloha Breeze 5-blade, 52in. 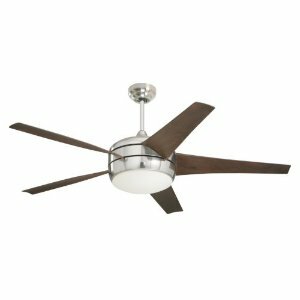 dual mount ceiling fan with included light kit and 3-speed reversible motor adds cool comfort to any room. Fan Diameter (in. ): 52, Blades (qty. ): 5, Speeds (qty. ): 3, Blade Type: Straight, Volts: 120, Color: Oak / rosewood and brass, Dimensions W x D x H (in. ): 13 x 21 x 10, Finish Type: Oak / rosewood. 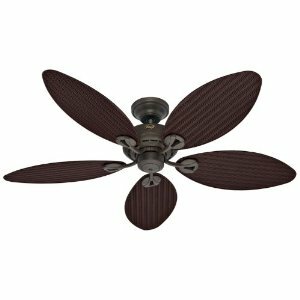 Quick connect blade system and reversible-finish blades make it easy to change the look of your fan. Ceiling-mount fan. Pulls trapped heat from the ceiling in winter. Produces cooling airflow in the summer. Ceiling-mounted fan pulls trapped heat from the ceiling in winter and produces a cooling airflow in the summer. Fan Diameter (in. ): 56, Blades (qty. ): 3, Speeds (qty. ): 3, Air Delivery (CFM): 10,000, Volts: 110, Watts: 71, Amps: .65, Color: White, Blade Material: Steel, Finish Type: Epoxy. 30 inches high x 10.5 inches wide x 8.1 inches deep. 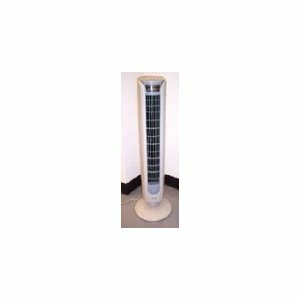 Remote control operating 30 inch tower fan. Turbine cooling impellers, Three speeds with breeze and oscillating option. Deactivation timer settings: The remote control allows you to effortlessly change settings from a distance and create your ideal air flow. 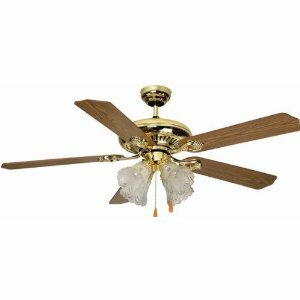 A beautifully designed antique brass finished Aloha Breeze 42 inches ceiling fan is the best choice for your home. Its unique design, frosted glass shades, 3 speeds with reverse operation for comfortable usage all through the year, versatile dual mounting system helps for exact fitting for ceiling at your needful height and an energy efficient model with UL rating to save your electricity bills also. Candelabra base bulbs are used in the light fittings and are also included with the product. Part number of the product is #49003.